The preseason's coming, and the early you start training the better! For all of you coaches out there looking to push your athletes, here are some team workouts to help develop your teams skills for agility, ball handling, and shooting. Training solo can get a little old, so here's a little mix of different training techniques to try out with a partner. There are a variety of drills and techniques used both by ballers and coaches alike to increase their skill level. Here's a quick video of different drills and exercises that range from ball handling techniques to gym exercises to improve your skills. Can’t Get Your Shot Right? Having a little trouble with your shooting, look no further, Dr. Wissel has your cure! There's one skill that isn't taught by most coaches that can prove to be invaluable during a game. Acting. 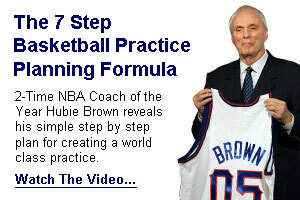 Why not learn from one of the best players of the last two decades? Here are a few of Kobe's Signature moves that help make Kobe one of the best! Check out the Sprite Slam Dunk Showdown winner Zach Jonesy and some of his top moves from the event! Take it from him that creativity is ultimately what wins this type of competition! Three great conditioning exercises that will both get your young players into shape and help to hone their layup skills. Ball handling is an essential skill to practice for your little ballers, and this drill does an incredible job of working ball handling in with a great conditioning exercise.